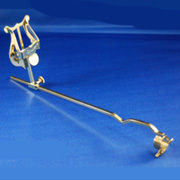 Straight shaft lyre for use with instruments that have a square "up and down" lyre receiver. Lacquered brass. 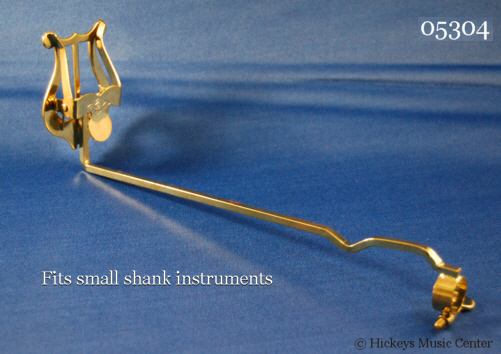 Straight shaft lyre for use with instruments that have a square "up and down" lyre receiver. Chrome plated brass. 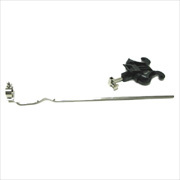 Bent shaft lyre for use with instruments that have a square "front to back" lyre receiver. Bend in shaft faces forward. Lacquered brass. 4" stem with a 3/4" bend toward the bell. 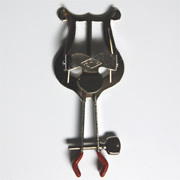 Standard type lyre clamps onto mouthpiece receiver. 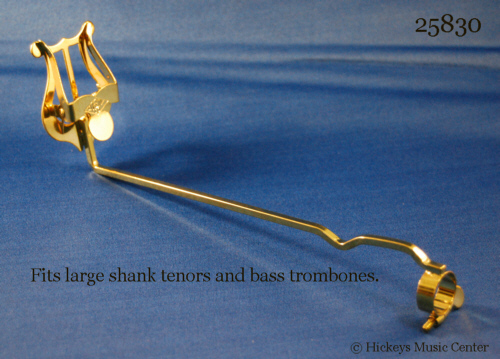 For large bore tenors and bass trombones only with a receiver of approx 3/4" outside diameter. USA. Standard non-adjustable lyre clamps onto mouthpiece receiver. For small and medium bore instruments only with approx 9/16" (outside diameter) mouthpiece receivers. If out of stock, see item 05304 for substitution. USA. 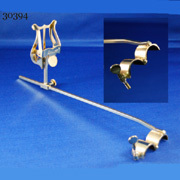 Standard type lyre clamps onto mouthpiece receiver. 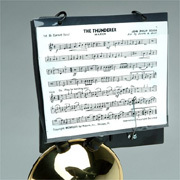 Music holder slides back and forth along shaft for optimum reading distance. 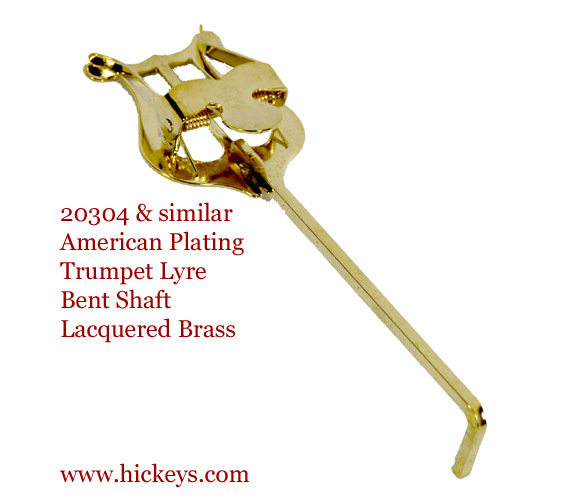 For large bore tenor trombones and bass trombones with a receiver of approx 5/8" to 3/4" outside diameter. USA. 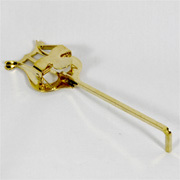 Standard type lyre clamps onto mouthpiece receiver. 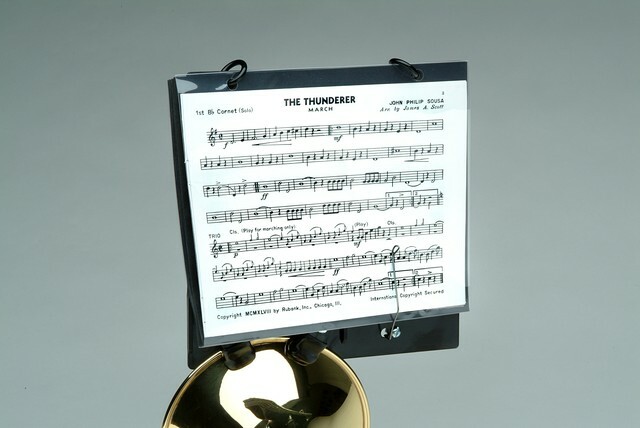 Music holder slides back and forth along shaft for optimum reading distance. 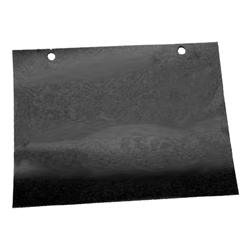 For small and medium bore instruments only with a receiver of approx 9/16" outside diameter. USA. 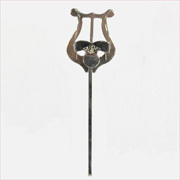 Brass music lyre. Straight shaft. 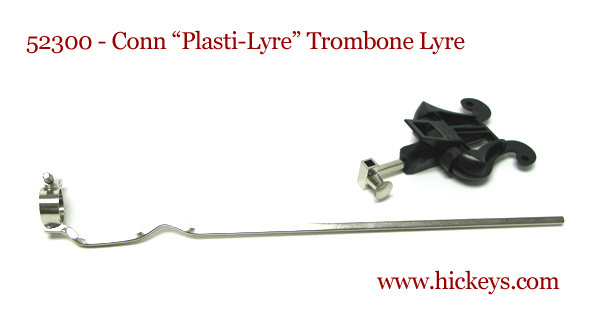 Can be used on many baritones, euphoniums, tubas and french horns -- anywhere a 6-inch straight shaft lyre will work. 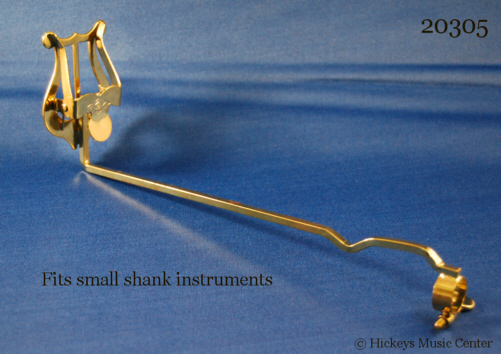 For medium and small bore instruments (those that use a small shank mouthpiece). 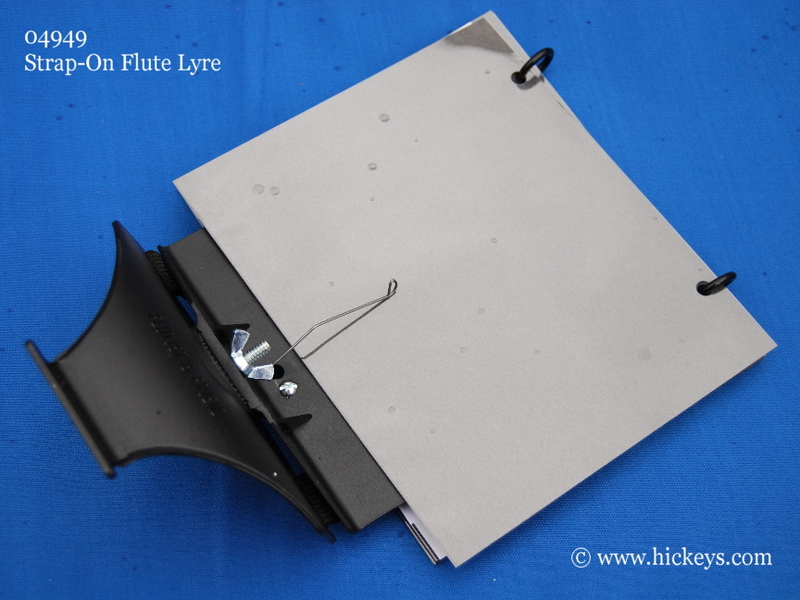 Plastic lyre head slides back and forth on shaft for optimal reading distance. 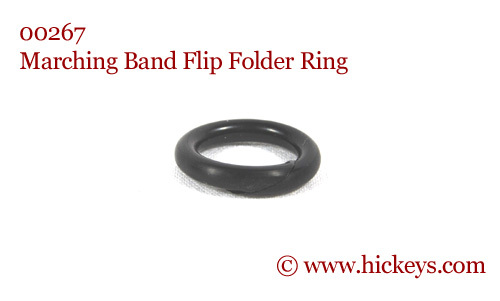 Flip folder straps on to drum's rim for convenient display of marching band sized music. Includes 5 clear pages. 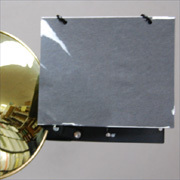 Flip folder attaches to drum's rim for convenient display of marching band sized music. Includes 5 clear pages. 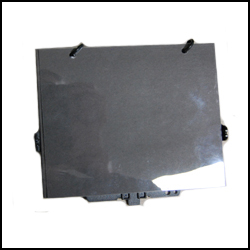 Flip folder unit attaches to the bell rim with plastic clamps and finger screws for convenient viewing of marching band sized music. 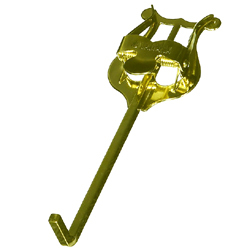 For use with any size trombone. Includes 5 clear pages. 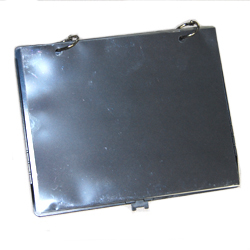 Flip folder unit attaches directly to the bell rim with plastic clamps and finger screws for convenient viewing of marching band sized music. Does not require the use of a lyre. Includes 5 clear pages. Flip folder straps on to flutist's left wrist for convenient display of marching band sized music. Includes 5 clear pages. Lyce includes a rubberized clamp and a sliding shaft. 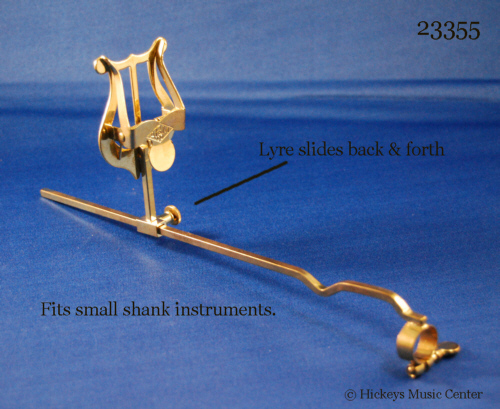 Clamp the lyre onto your flute's body joint just below the head, and adjust the shaft for length. Chrome plated brass or steel. 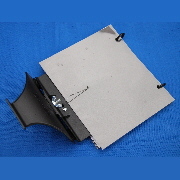 Small plastic split ring used to bind flip-folder pages to plastic backing board. Each board uses two rings. 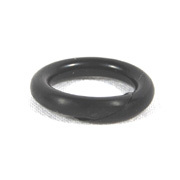 Price shown is for an individual ring. 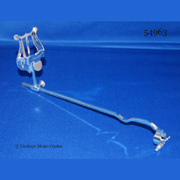 Bent shaft lyre for use with instruments that have a square "front and back" lyre receiver. Bend in shaft faces forward, away from the player. Lacquered brass. 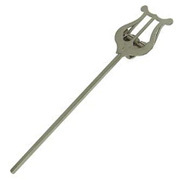 Larger 3/8-inch thick shaft for use on Yamaha brand instruments. 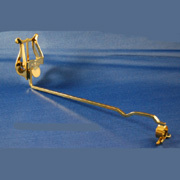 Bent shaft lyre for use with instruments that have a square "front and back" lyre receiver. Bend in shaft faces forward, away from the player. Nickel plated brass. Larger 3/8-inch thick shaft for use on Yamaha brand instruments. Standard non-adjustable lyre clamps onto mouthpiece receiver. For small and medium bore instruments only with approx 9/16" (outside diameter) mouthpiece receivers. If out of stock, see item 20305 for substitution. 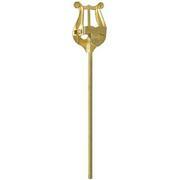 Brass music lyre. Straight shaft. 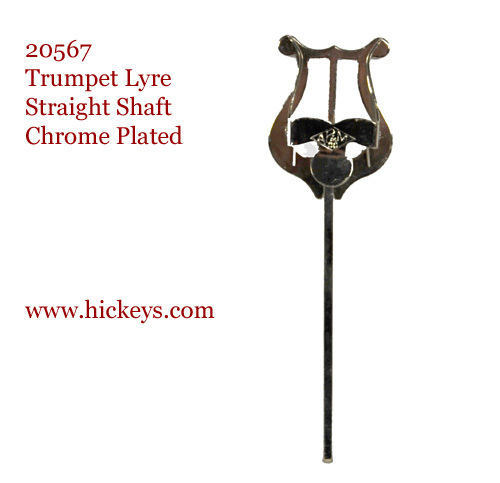 Can be used on many baritones, euphoniums, tubas and french horns, anywhere a 6-inch straight shaft lyre will work. 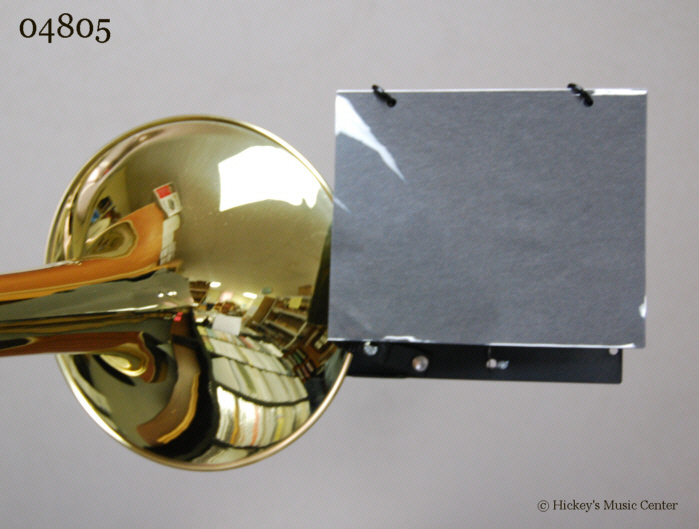 Mounts with screws to wood frame of marching bell set.